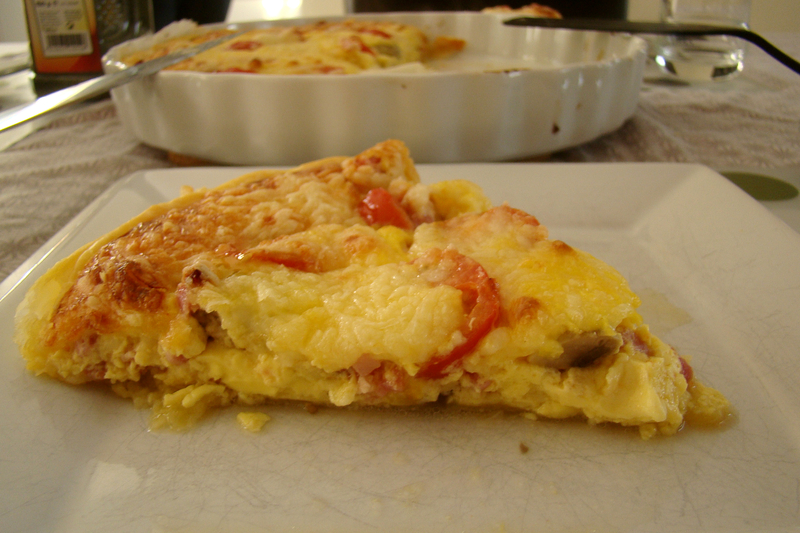 Fiesta Friday #30: Veggie Quiche! Or not? Are you guys excited? Because I know I am! 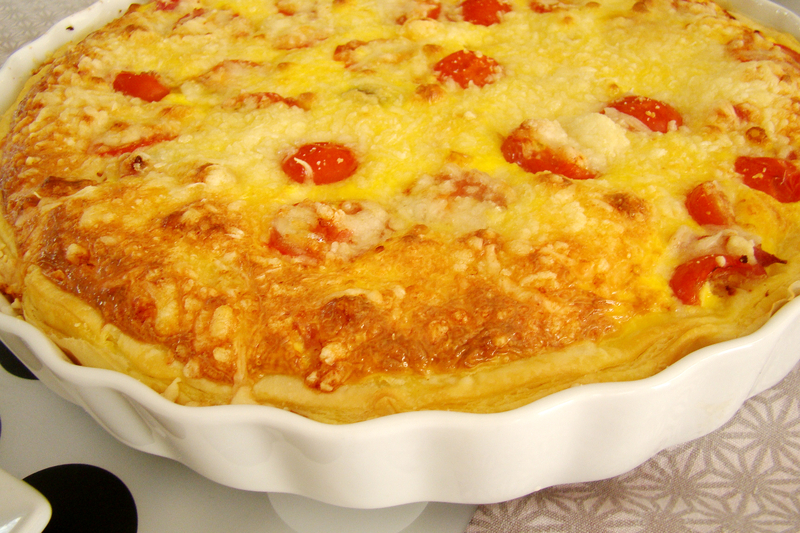 This week, I want to bring you my latest quiche. A veggie one! The recipe made a veggie one. But hey, it’s still me! Roll out the puff pastry in the tray you chose. Prick little holes in it using a fork. Wash and cut the tomatoes and the mushrooms. I’ve cut the tomatoes in two, because they’re already small enough. Put the veggies on the puff pastry. I first spread the mushrooms and then I did the tomatoes on top of it. Poor the liquid over it. Make sure it’s evenly spread. Add the cheese on top of it and it’s ready to go in the oven! Bake it for about 30 minutes at 200 degrees centigrade. 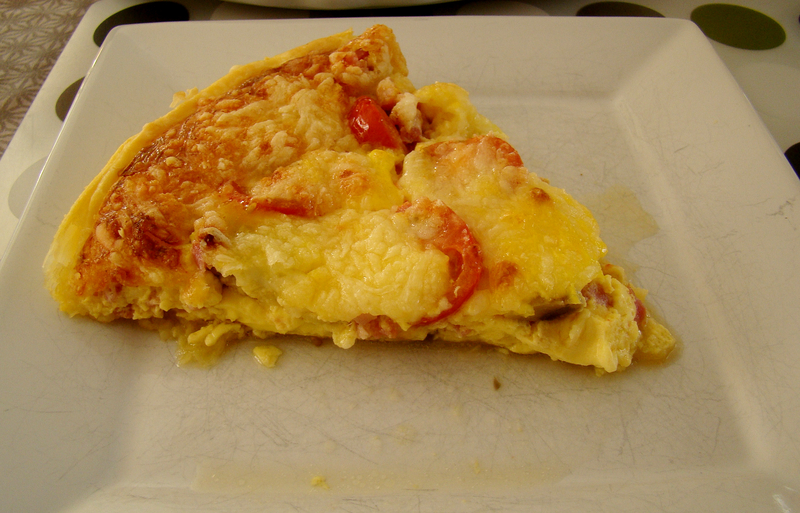 If the quiche isn’t firm enough, put it in a bit longer. I hope you guys are ready to dig in and enjoy this weeks Fiesta! I love quiches! This one sounds delicious! Veggie quiche? with bacon? brilliant! ALL the best vege recipes finish up with a meat product… ahem.. In case you’ll have some leftovers I will be there! 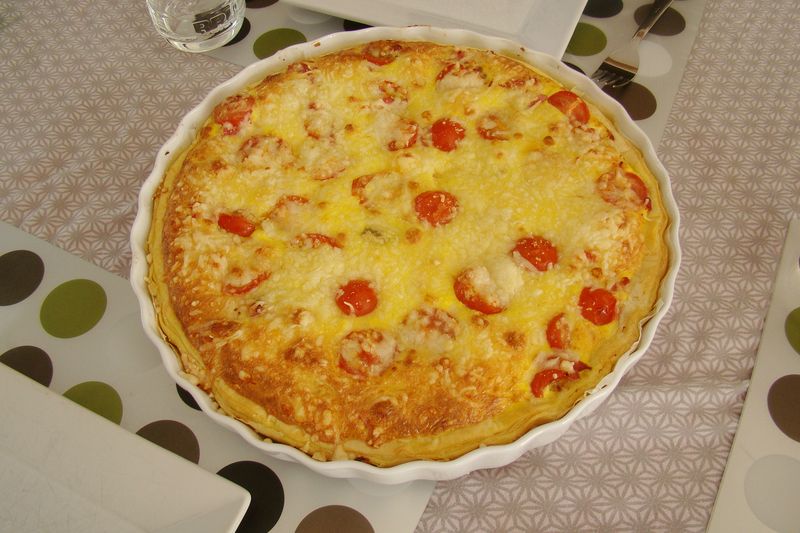 Thanks a lot for sharing this quiche with FF people! Have a great weekend! Delicious! A great dish for company, and as you indicated, very easy to adjust the ingredients. Lol….I love bacon too. This looks great Sarah! I’m adding some garlic salt in here, may I? Your veggie quiche looks so good Sarah 🙂 Happy FF and enjoy your weekend!